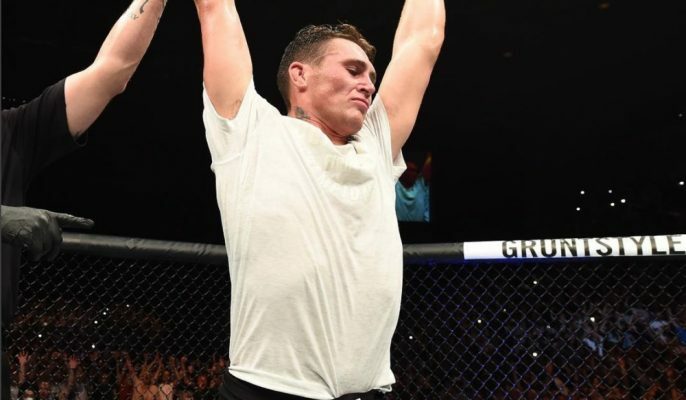 Former title contender Darren Till will face Jorge Masvidal in the main event at UFC Fight Night in London on March 16. UFC president Dana White announced the news on Wednesday. Till will return to action for the first time since last September when he fell by second round submission to welterweight champion Tyron Woodley. That defeat came after a long undefeated streak started Till’s career including a wins over Donald ‘Cowboy’ Cerrone and Stephen ‘Wonderboy’ Thompson. Now the Liverpool native will welcome Masvidal back to the Octagon after the veteran American Top Team fighter sat out 2018 while working on a reality show. Masvidal will also look to get back on track following losses in each of his two most recent fights against Demian Maia and Stephen ‘Wonderboy’ Thompson. Meanwhile, Leon Edwards will look to build on his recent win streak including a win over Donald ‘Cowboy’ Cerrone when he fights at home in England against nasty submission specialist Gunnar Nelson. Nelson is fresh removed from a rear naked choke submission that put away Alex Oliveira at UFC 231 this past December in Canada. The two welterweight fights headline the UFC’s return to London, which will be broadcast in the United States on ESPN+.